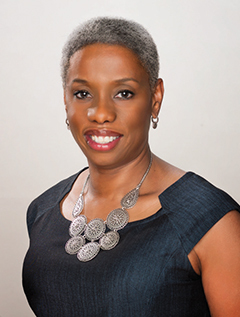 Pepper Miller founded The Hunter-Miller Group (HMG), a leading-edge market research and strategic planning firm. Since 1985, HMG has provided real insights that have helped Fortune 500 companies effectively and positively market their brands to black Americans. Some of these corporate clients include American Airlines, Allstate, General Motors, General Mills, GlaxoSmithKline, Ford Motor Company, Johnson & Johnson, PepsiCo, Procter & Gamble, Toyota, and the Chicago Symphony Orchestra. With Herb Kemp, Pepper coauthored What's Black About It? : Insights to Increase Your Share of a Changing African-American Market, which many consider to be the most important book of insights about African American cultural marketing. She served as a research consultant for the largest study about African Americans to date; the Black America Today segmentation study—commissioned by Radio One and conducted by Daniel Yankelovich. In July 2007, Pepper received the Target Market News MAAX Award for Research Executive of the Year.